This example shows how to use direct model parameter extraction and parameter optimization together to extract a mosfet SPICE model. The project file opt_ex02.prj and the data file opt_ex02.uds for this example should both be loaded into your database. When opened, the project will look as shown in opt_ex02_01.png . Direct extraction of model parameters can be used to provide better initial values for the subsequent parameter optimization. In this example, the threshold voltage will be extracted and the BSIM3 model parameter VTH0 will be set to this value as an ititial starting value for the optimization. 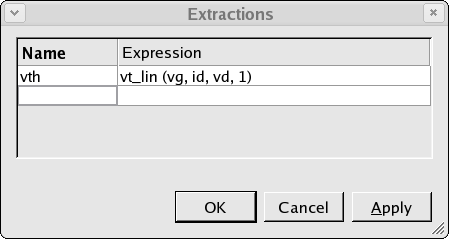 The extraction is given a name and is defined in the extractions dialog as shown in opt_ex02_02.png . An extraction setup is then created in which the extraction to be used is defined and also where to write the result. In this case, the result will be written directly to the model library of the project as shown in opt_ex02_03.png . Once the extraction setup has been defined, this can be added into the optimization sequence as the child of the data subset. When the optimization sequence is run, the extraction is performed on the dataset specified in the data subset and the result written into the model library. Note that the data subset must contain only one dataset in order to be used with an extraction. 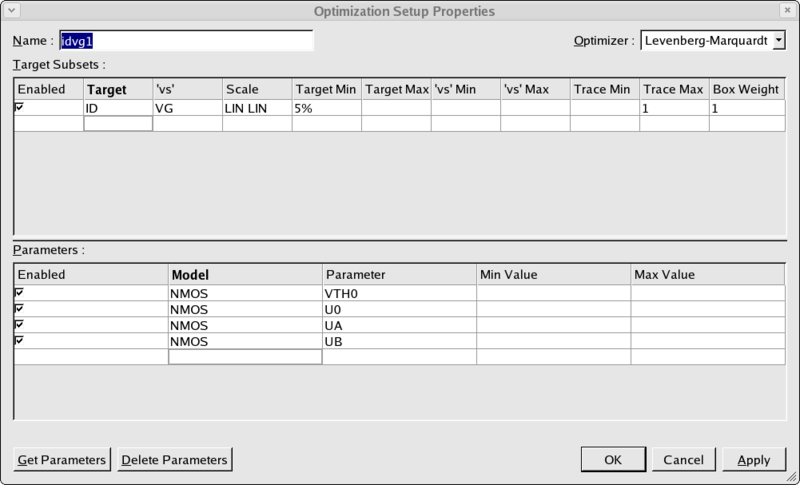 The second step in the optimization sequence is an optimization setup which will further optimize the VTH0 parameter plus a number of other parameters as shown in opt_ex02_04.png . When the optimization sequence is run, first the extraction is performed and the result written into the model library. 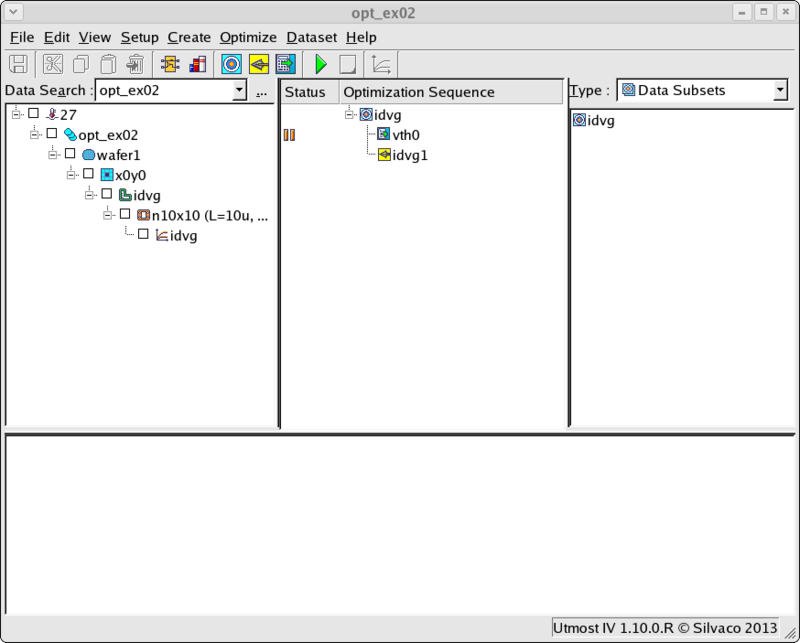 Then the optimization is performed as shown in opt_ex02_05.png . By performing the extraction first, the number of simulations required to perform the optimization is reduced by a factor of three in this case.